It’s almost time for the 2017 Great American Beer Festival! After scouring GABF-centric events for nearly a month, I’ve finally completed my roundup over 60 awesome events for GABF week! 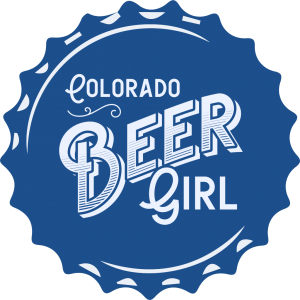 This list mainly features events at Denver’s finest beer bars, so be sure to check out my Facebook Events page for TONS of other events in Denver and all along the Front Range. Please keep in mind that several local breweries are doing special tappings and releases of their own, many of which can be found in my Facebook events. I wish I had time to include everything that’s going on, but I’ve found that to be a nearly impossible task for one person. So I’ve done my best to bring you some of the top, most exciting events in town. I’ll try to update this post with additional events throughout the next couple weeks as details are released. But in the meantime, start perusing the overwhelming number of daily events below. Happy planning! And CHEERS! Sour Monday is back! 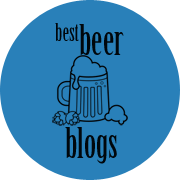 On Draft: Almanac Dog Patch Currant , Atom Golden Sour aged in Zin Barrels, Avery Amicitia, Black, Project Dreamland, Captain Lawrence Leaking Staves, Crooked Stave Surette Reserva Palisade Peach 2016, Jester King x, Jolly Pumpkin Gammalux, Jolly Pumpkin x Jester King Olas Espaciales. **As with all of our GABF events beer and breweries are subject to change at any time. Featuring special releases from Horse & Dragon, Upslope, Special 20th Anniversary Collaborations and more! Goed Zuur is having an all Colorado sour beer and food tap takeover! The beers will be announced soon, but the breweries involved are: Crooked Stave Artisan Beer Project, Casey Brewing and Blending, AC Golden Brewing Company, New Belgium Brewing, Paradox Beer Company, Epic Brewing Company, Avery Brewing Company, Verboten Brewing, Loveland Aleworks, Cerebral Brewing, Our Mutual Friend Brewery, Funkwerks, Call to Arms Brewing Company, and possibly more to come! In conjunction with Great American Beer Festival, Dustin Hall of The Brewtography Project will display his art at Hotel Teatro Sep. 15-Dec. 1. Hall, a Denver-based photographer and home brewer, combines his passions for photography and beer by capturing local breweries and the people working in them with his camera lens. Hall’s installation will provide a window into Colorado’s craft beer culture to travelers and hotel guests. It will be his first solo exhibition! Join Dustin Hall of The Brewtography Project at Hotel Teatro from 7-10 p.m. on Thur., Sep. 28, to celebrate the installation of his exhibition on the hotel’s concourse level. Call to Arms Brewing Company will also be in attendance to represent their exclusive brew collaboration with Hotel Teatro and The Brewtography Project – the Beautiful Impression, an oak-fermented Brett Farmhouse Ale. Guests can try the beer firsthand, as well as a barrel-aged cocktail utilizing the beer; both available for purchase at a cash bar. Additionally, for just $5, guests can receive “a pint and a print,” including a print from Dustin’s collection, as well as a pint of the beer in a keepsake glass. For more information regarding the free meet-and-greet, and to RSVP, click here. Tickets are on sale now and will go fast! All of your favorite brewers including Odell Brewing Co, Epic Brewing Company – Denver Taproom, New Belgium Brewing, Left Hand Brewing Company, Breckenridge Brewery, Declaration Brewing and many more! All proceeds benefit Miami Animal Alliance, a non-profit organization based in Colorado and Oklahoma. A no-kill, all foster home rescue. Tickets are $20. DRINK FOR A CAUSE! Join us as we host Beers Made By Walking for the 2nd year! Beers Made By Walking is a program that invites brewers to make beer inspired by nature hikes and urban walks. Each walk is different, so each beer is a portrait of that landscape. Your $40 admission ticket includes a tasting glass, beer from over 35 breweries from Colorado and beyond, and entrance to the Museum and a special exhibition. Food will be available for purchase. This event is 21+ and IDs will be checked at the door. We will be teaming up with our favorite breweries across the country and tapping their rare gems! Jester King, Fremont, Half Acre, Gigantic, Boneyard, Prairie, Breakside, AZ Wilderness, Jack’s Abby, Almanac, Crux, Two Roads, Jolly Pumpkin, Beachwood, Captain Lawrence, Perennial, American Solera, Hops and Grain, Lord Hobo, La Cumbre, Lawsons, and more to come. Beers subject to change. Come hang out with some of the best in the area! Featuring: Outer Range Brewing Co., Lost Highway Brewing Company, Cerebral Brewing, Horse & Dragon Brewing Company, Ratio Beerworks, WeldWerks Brewing Company. Draft list coming soon. We have partnered up with Strange Craft Beer Company yet again for your PRE- Great American Beer Festival brewer’s dinner! Chef Rich Byers has perfectly paired 4 courses and 1 dessert with Strange Craft Beers and their Brewer will be here chatting about their beers. Goed Zuur is having an all California sour beer list. The beers will be announced soon, but the breweries involved are: Beachwood BBQ Blendery, Almanac Beer Co, Port Brewing Co / The Lost Abbey, The Rare Barrel, Russian River Brewing Company, Pure Project Brewing, Bruery Terreux, Firestone Walker Brewing Co., Modern Times Beer. More details to come soon! Thirst Colorado is proud to present the Tour of Colorado, a tap takeover of epic proportions during the week of the Great American Beer Festival. Join the Thirst crew alongside brewery friends at Tap Fourteen in Denver to sample exclusive collaborations from a few of our favorite breweries around the state. In addition to one-of-a-kind brews and cider, there will be a raffle featuring some amazing prizes from Colorado companies (think skis, packs and brewery gear). And look for our commemorative glassware featuring the new Craft Master Grand glass, a perfect vessel for your favorite brew. Proceeds benefit the Alzheimer’s Association, Colorado Chapter. Before the festival begins and the crowds roll up in full force, join us for an intimate gathering with a curated group of brewers that offer some of the best beer in Colorado. We are teaming up with our friends from Odd13 Brewing, WeldWerks Brewing Company, Wiley Roots Brewing Company, Cerebral Brewing and 4 Noses Brewing Company to bring you an event that you wont want to miss. Each of these 5 Colorado breweries will be set up in a mini-fest style on the New Image patio to pour two special beers from their portfolios while you enjoy live music and fall air. Inside, New Image will be pouring all of the standard offerings along side some special one time releases. The gathering is meant to be a more intimate escape from the chaos that GABF week can often be. Its a chance to meet the people behind the beer, ask questions, relax and not worry about rushing around to try everything before it’s gone. Tickets are $35 per person and include entry, beer, commemorative tee shirt, commemorative glass, music and bragging rights. There will be 2 sessions, 12:00 PM to 3:00 PM and 4:00 to 7:00 PM and limited tickets for each session. Come on down to The Crafty Fox on October 4th as we will be hosting Good Bugs, a fermentation series by Brewed Food. Meet the brewers and sample the ONLY batches of these beers ever produced. Jensen Cummings and his team have collaborated with Inland Island Yeast Laboratories, Black Project Spontaneous & Wild Ales, Fremont Brewing, Great Divide Brewing Co., Rhinegeist, Against The Grain Brewery, River North Brewery, Odd13 Brewing, and Outer Range Brewing Co. to make some very special beers. Get ready for good times, eternal glory, and (of course) beer! Come out to see Wynkoop’s Beer Drinker of the Year 2017 finalists vie for the crown as they demonstrate their knowledge, passion, and commitment to drinking great beer. It’s a showdown like no other that will have you raising your glass one minute and throwing your headback in laughter the next. Join us for pre-competition beers and cocktails at 4:30 pm. We’ll officially start with a Meet and Greet at 5 pm in the Mercantile Room, and the competition will get underway at 5:30 pm! This is a FREE event to attend. Space is limited and an RSVP does not guarantee you a seat, so get here early to claim your spot. Our bar will be open for you to enjoy all your Wynkoop favorites and seasonal pours before the competition. What the Funk!? Invitational is a celebration of all things barrel-aged from boozy and strong to wild, sour, and funky. Sponsored by Denver-based brewery Crooked Stave Artisan Beer Project this festival features numerous breweries from across the United States and around the world making some of the best barrel-aged libations. Hanging out with the Upslope Brewing Company crew and pouring our 2017 GABF collaboration beer. On Draft: Upslope x Freshcraft Collab Malt Liquor , Upslope x Freshcraft Collab Brass Monkey-Malt Liquor w/Valencia Orange Juice, Upslope, Blackberry Lemon Kettle Sour , Upslope Barrel Aged Cookie Beer. We’re kicking off GABF 2017 with the Duvel USA team for their GABF Pre-Party! Dogfish Head Wacky Hat Wednesday Kooziepalooza with founder Sam Calagione. Wear a wacky hat for special prizes, meet Sam, and experience famous 120 min IPA in 4 different vintages as well as other great DFH offerings. Featuring beer from the following breweries: Almanac, Ale Apothecary, AleSong, Arizona Wilderness, Beachwood Brewing, Blackberry Farms, Boneyard, Captain Lawrence, Creature Comforts, Crooked Stave, Jackie O’s, Hops & Grain, Half Acre, Jester King, Lawson’s Finest Liquid, Perennial, Pure Project, Jolly Pumpkin, Rhinegeist, Scratch, The Rare Barrel, Two Roads, and some other stuff too……. It’s time for our annual Hooves & Hops dinner in celebration of GABF! This year, Osteria Marco is teaming up with Avery Brewing Company for a five course paired dinner. $85 includes tax and gratuity. Reserve your seat by purchasing a ticket at https://www.bonannoconcepts.com/product/october-4-hooves-hops/. UNITY! A Plane to Train Beer Showcase welcomes brewers, beer industry buds and beer fans alike, to explore some of the country’s best rising breweries assembled under one roof. After getting off the plane at Denver International Airport catch Denver RTD‘s A-Line rail down to Denver’s Union Station Terminal Bar to sample elite level beers from Cincinnati’s Rhinegeist, Seattle’s Fremont Brewing , San Diego’s Modern Times Beer, and Denver’s own Ratio Beerworks. Goed Zuur is having a “Farm to Barrel” style tapping on Wednesday October 4th. The beers will be announce shortly, but the breweries are: Atom Brewing Company, Rowley Farmhouse Ales, Scratch Brewing Company. More details will be shared shortly! Ocean Prime is hosting a Meet the Brewer event with Black Shirt Brewing on its Larimer Square-facing patio (weather-permitting). Light appetizers will be served, paired with Black Shirt’s beers. Black Shirt’s Brewmaster and other brewery reps will be in attendance to answer questions. The event is FREE of charge, but reservations are required. Please call Ocean Prime at 303-825-3663 to reserve your spot! Casey Brewing and Blending is back with another killer line up! On Draft: Apricot Funky Blender, Dry Hopped Oak Theory, Dry Hopped Saison, Balaton Cut. Prepare yourself for an epic beat down that only the likes of Bierstadt Lager and Melvin Brewing could deliver courtesy of Rocky Mountain Pro and Hacksaw Jim Duggan! $25 gets your 1st beer, a mug to drink it and your mind blown! Come in rocking your best spirit animal attire with the Ska Brewing and Telluride Brewing Co. crew. We all got together at Telluride and brewed a juicy red ale just for the occasion. We’ll have that on draft plus several other great beers from each brewery. On Draft: Ska Bad Hop Contract, Ska Anniversary – Rye Barrel Aged Imperial Stout, Ska Euphoria, Telluride x Ska x Freshcraft Blushing Guppie, Telluride Russell Kelly, Telluride Bourbon Barrel Face Down Brown, Telluride Face Down Brown. Live PorchDrinking Podcast w/Ratio Brewer/Owner Jason zumBrunnen in his first PorchDrinking.com podcast along with other beer media guests (Broadcast 10-11pm). Featuring standard Ratio offerings including our house beer ($4 Domestica), plus special tappings TBD. Join us for our 5th Annual Fifty Firkin Fiasco! Our brewers have put together 50 unique firkins for your enjoyment as you wander through the brewery to sample all of them. Be a part of history, be a part of the fun and chaos of this popular event! Ticket price includes unlimited sampling of the 50 Firkins from 7 pm – midnight. Last call is at 11:45 pm. Food and souvenir t-shirts sold separately. General admission tickets will be available for $35 until October 2nd (price does not include shirt). A limited amount of tickets will be available the day of at the door for $45 (price does not include shirt). Come on down to The Crafty Fox and experience Ohio in your own backyard. The Crafty Fox will be tapping rare craft beers from MADTREE Brewery, Jackie O’s Brewery, Rhinegeist Brewery, Little Fish Brewery, and Warped Wing Brewery! Each brewery will be tapping five of their delicious beers. Come on down and meet the people behind these phenomenal beers and experience GABF week Buckeye style! Goed Zuur is having an event featuring some really amazing breweries (and a winery!) that make products on a smaller scale. The offerings will be announced soon, but the companies are: Black Project Spontaneous & Wild Ales, Amalgam Brewing, Pure Project Brewing, Collective Arts Brewing, Red Fox Cellars. More details will be available soon! Union Station’s go-to burger destination is celebrating Denver’s Great American Beer Festival with a patio party October 5-8. Hopdoddy will be featuring exclusive taps from Colorado’s own Odd 13 Brewing with a keg of Hop Wizard, a New England Style Pale Ale and Epic Brewing’s Son of a Baptist, an 8% ABV Imperial Stout. It wouldn’t be a patio party at Hopdoddy without craft burgers to pair with those craft beers. Hopdoddy’s full menu will be available including the Pork Schnitzel. A next level take on the Oktoberfest favorite, this specialty burger features a fresh ground spiced pork patty which is breaded and fried, topped with Swiss cheese and served atop a tangy whole grain mustard sauce and sweet and sour cabbage and served between a specialty made beer bun. The ninth edition of the Denver Rare Beer Tasting will take place on Oct. 6, during the GABF weekend. More than 50 of America’s top craft breweries will be serving rare, exotic and vintage beers to raise funds for the Pints for Prostates campaign. Noon – Sierra Nevada Kill-A-Keg!! Come celebrate Great American Beer Festival week with us at The Crafty Fox! We have teamed up with Outer Range Brewing Co. and Wiley Roots Brewing Company and we will be tapping rare specialty beers from both breweries! Not to mention collab beers that you will only get to try GABF week! Mark you calendars and stay tuned for the tap list. Wiley Roots: Pastry Stout: Cinnamon / Vanilla, Pool Party, 1320 New England IPA, Tropical Vacay: Passionfruit Hibiscus, Farmhouse, Optimus Rubus. Our friends at Stone Brewing and Odell Brewing Co are teaming up for all the fun! Come check out the photo booth on the patio and drink some deliciousness. On Draft: Stone Ripper, Stone Neopolitan Dynamite, Stone Punk in Drublic, Odell Myrcenary, Odell Goat Magic Sherry BA Brett Old Ale, Odell Green Coyote Tomatillo Sour. Exclusive invite only event in conjunction with EventBrite and Tesla who will have shuttles to usher the guests to and from the Convention Center. Featuring Wood Celler Reserve beers and other limited release offerings. 2 tickets will be given out for this event to Avanti guests in the days leading up to the party. We will be pouring the following beer: The Cut: Sour Danube Cherry, Dry Hopped Apricot Casey Family Preserve, Dry Hopped, Oak Theory, The Low End, The Cut: Grape, The Cut: Plum, Cherry Fruit Stand, Grape Fruit Stand, Plum Casey Family Preserves, and some other stuff too…..
Come get weird with us and our friends Avery Brewing Company, 4 Noses Brewing Company, and Firestone Walker Brewing Co.! DJ Cut la Whut will be dropping dirty beats while we drink Heyzeus, Killer Bees and Hubert and build the world’s largest beer can pyramid. We’re welcoming circus performers, dancers and martial artists. Ring Toss? How about human ring toss. Look for the Melvin bus from GABF to the party for easy transportation! Ska Brewing Great American Beer Festival featuring The Alcapones, Roka Hueka, and The Short Bus Rejects. Goed Zuur is hosting Casey Brewing and Blending, Jester King Brewery, The Side Project Cellar for a special event on October 6th. We’ll be pouring through CSA’s incredible portfolio all day! Taplist includes: Jester King Beachtimez Sportzketball, Pure Project Diamond Dust, Rhinegheist Truth, Beachwood Earthbound Misfit, Fremont BBA Abominable, Captain Lawrence Black Cherry Sour, Captain Lawrence Leeds to Paradise, Madtree Psycho, Captain Lawrence Powder Dreams, Captain Lawrence Hudson Valley Harvest Black Raspberry Sour, Beachwood Mocha Machine, Societe The Apprentice, Madtree Happy Amber, Almanac POG Saison, Alesong Saison Lorane, Jolly Pumpkin Turbo Bam, Almanac Blackberry Gose, Almanac Strawberry Rhubarb, Beachwood Amalgamator, Almanac Sangriaveza, Almanac Strawberry Basil…and more! We will be tapping a limited supply of beers from these breweries. Make sure to start your GABF Saturday on the right foot and don’t miss out as these beers won’t be lasting long. Stay tuned for the tapping list! Like beer? Like whiskey? Great Divide Brewing Co. and Captain Lawrence Brewing Company have teamed up with Jameson Irish Whiskey to collaborate on a series of barrel aged beers. Come in to try these unique collaborations. On Draft: Great Divide The Smoothness (Jameson Collaboration), Great Divide Colorado Fresh Hop, Captain Lawrence Transatlantic Red (Jameson Collaboration), Captain Lawrence Cuvee De Castleton. Finish off the GABF Festivities with us at The Corner Office on October 7th with Odell Brewing Co! Chef Rich Byers has created the PERFECT four course menu that pairs perfectly with Odell’s Brews. Keep the fun going! Join us for our second consecutive year hosting The Breakfast with The Bruery (as well as The Bruery Terreux & Offshoot Brewing) prior to the Saturday session of The Great American Beer Festival. This will be your chance to meet Patrick Rue and other members of the Famille Rue team. Of course it will also be your chance to enjoy some amazing beer and an all you can eat breakfast buffet (complete with vegetarian offerings). This year we are trying something a little different. We are asking that you pre-purchase a ticket to the event. We have a very limited number of Early Bird tickets for twenty five people that would like to join us right at 8 am and get a chance to mix with The Bruery crowd before we open the doors to the rest of the crowd. At 8:30 am we will begin allowing General Admission ticket holders in the door. Regardless of ticket type your admission gets you unlimited trips to the buffet as well as one pour of beer from our draft list (or a non-alcoholic beverage). A little hair-of-the-dog always helps during GABF weekend. It also helps get the party going again! Saturday, October 7 we will serve up a Brewer’s Breakfast: an awesome smothered breakfast burrito & a glass of barleywine! If barleywine is not your breakfast bevie of choice, we’ll have a few of our other aged big beers on tap for the tasting. Roll out of bed, put your sunglasses on, and get here while the burritos last! You made it! You survived GABF, now let’s party! After the final session of the Great American Beer Festival on Sat., Oct. 9, join the Ratio Beerworks team in belting out some of your favorite hits and help us send GABF’s final night off in a blaze of glory! We will be firing up the karaoke machine around 9pm, so come prepared to throwdown your go-to tune. Everyone is welcome to join the party, but if you bring your brewers badge and sign up to sing a song, your first beer is on us. Additionally, we’ll be tapping some serious heat during the party, to put the kabosh on a massive weekend. Join us for a Short’s Brewing Company & Starcut Ciders showcase. Meet the Short’s team, including Joe Short! Taplist includes: Soft Parade, Huma Lupa Licious, Space Rock Pale, Melt My Brain, Barrel-Aged Hammerjack, Peachy Pom Pom, Phuzz, Erraticus Wild Cider Series #11. TRVE Brewing and Green Flash Brewing Co. join forces after the members only session to showcase some of the best beers in the country. Come check them out! Surly Brewing Company is back with a killer line up! Come in on Saturday night while everyone else is at session and taste the greatness. On Draft: 2016 Barrel Aged Darkness, Todd The Axeman, Barrel Aged Pentagram, Coffee Bender, Xtra-Citra. Goed Zuur is having a Midwest breweries tapping and food pairing! The beers will be announced soon, but the breweries involved are: American Solera, Jackie O’s Brewpub & Public House, MadTree Brewing, Jolly Pumpkin Brewery, Perennial Artisan Ales, Off Color Brewing, Rhinegeist, Surly Brewing Company. 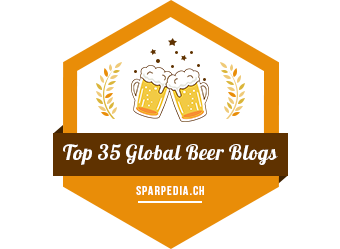 Watch the GABF Awards Ceremony with us! We will be Live Streaming the entire event on the big screen. The Savory Life food truck will be here early serving breakfast items. More details to come. RSVP to guarantee your spot! Detox and then retox at the 4th annual bRUNch Run benefiting Metro Caring. The bRUNch Run 5k + 10k is truly a unique race experience from start to finish that guarantees your appetite for food, fitness, and fun will be fed! Start your morning off on the right foot with a timed 5k or 10k run (walk, skip, stroll) followed by the best brunch bites + libations that Colorado has to offer. In addition to a tasty brunch spread and drinks, participants will receive a scented finisher’s medal and even a stainless commemorative cup to take home! There will be live music (Scott Brooks Band), yoga with Core Power Yoga, lawn games, incredible giveaways and swag, top finisher’s awards and so so much more. This year, the bRUNch Run 5k + 10k will showcase some of Colorado’s best local eateries and their brunch fare! Beer will be flowing from Great Divide Brewing Company, a mimosa bar with Barefoot Wines, and Bloody Mary bar with Tito’s Handmade Vodka, The Real Dill, STEM Ciders, and non-alcoholic beverages from Health-ade Kombucha, Logan House Coffee, and Eldorado Springs. Participating restaurants include La Sandia, Just Be Kitchen, Hi Rise, Bacon Social House, Moontime Crepes, Interstate Kitchen + Bar, noosa, Flippin’ Flapjacks, Sunshine Bowls, Quality Italian, The Corner Office Restaurant + Martini Bar and Hoof Wing & Fin. Join us on Sunday, 10/8 as we will be hosting a GABF recovery brunch with Adobo Food Truck serving up delicious pancakes, French toast, bacon and more to go along with one of our favorites – Work From Home. For those of you who don’t know – Work From Home is an Imperial Breakfast Porter with VT maple syrup and cold-brewed coffee. Teeming with lush baker’s chocolate, coffee and a slightly sweet maple finish. We will also be releasing a limited amount (shooting for 50) of crowlers. Allotments and details to follow. This will not be a ticketed event. Doors will be open at 11am and first come first serve. Come remedy that GABF hangover with a Mama Said Eat brunch and Lone Tree Brewing “Hair of the dog” breakfast beer! Ticketed Event! Please sign up using the link below to ensure your spot! Mama Said Eat will confirm their menu in the next few weeks! Beer-Mosas and Bloody-Beers will be available at the bar during the Event! GABF is over, and whether you’re craving MORE BEER or you’re ready for some whiskey, we’ve got you covered. Ratio Beer specials including two poundable beer cocktails plus pairings with High West whiskeys, bottomless mimosas, $4 micheladas and the best new brunch menu in town. Reservations are recommended but not required. To make a reservation, visit waywarddenver.com or call us at 720.449.8300. Next Post Find Your #HoppyPlace at Great American Beer Festival 2017!